The AV system in 2195 Vilas has a VGA, and an HDMI connection. There are HDMI adapters for Thunderbolt 2/Mini DisplayPort, and USB-C. There are eight monitors, and you can choose to send you video to any or all of them. If you have two devices, one connected to HDMI, and the other connected to VGA you can send both video signals to multiple monitors. 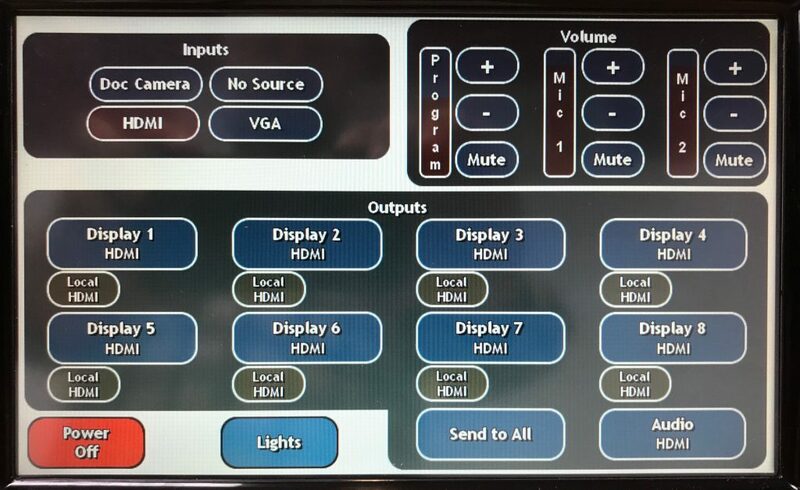 To send video to monitors you first need to choose the Input, in the upper left of the touch screen. Next, tap the numbered displays you would like the video to go to. Tap the Send to All button to send the signal to all displays at once. Each monitor has a HDMI connection locally. To use that connection connect a device to the HDMI cable on the display and tap Local HDMI for the corresponding display on the touch screen. The lower right of the touch screen allows you to set where audio should come from. 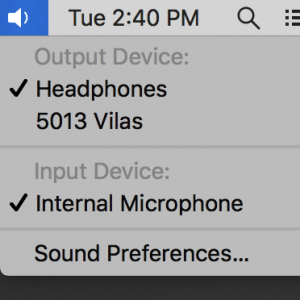 Just like with the display settings, make sure you select the input you want, then tap Audio to set that input as the audio source. The green audio cable can be used by selecting VGA for audio. 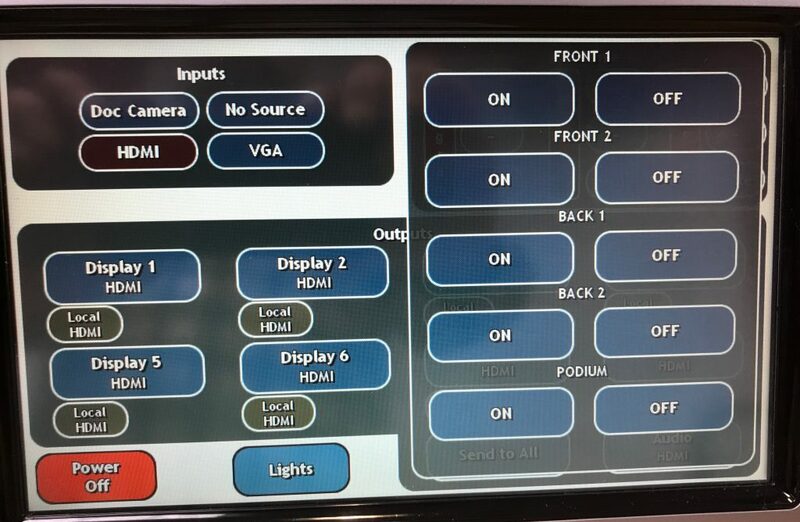 Lights are also controlled via the touch screen. Tap Lights to pull up the list. Microphones can be found in the black box in the right side door of the cabinet.